I know I sort of stopped posting updates. My bad. 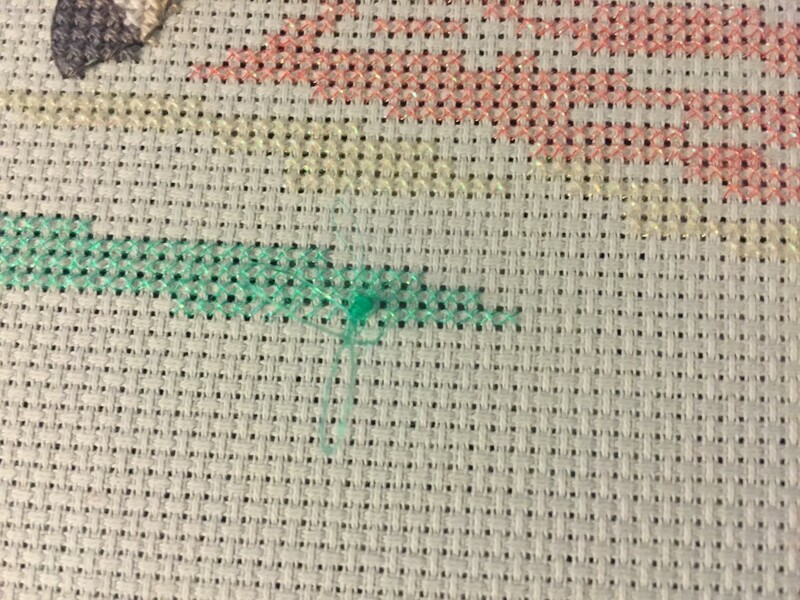 I tried desperately to finish this cross stitch before leaving for vacation, but the rainbow thwarted me. OMG that blending filament. It snags and one strand bunches up. Sometimes you can get it straightened out and keep going and sometimes it’s game over, time to start with a new thread. This is why I hate the filament. It snags something awful. Once I got back from vacation it took a while to get started because I was sick. 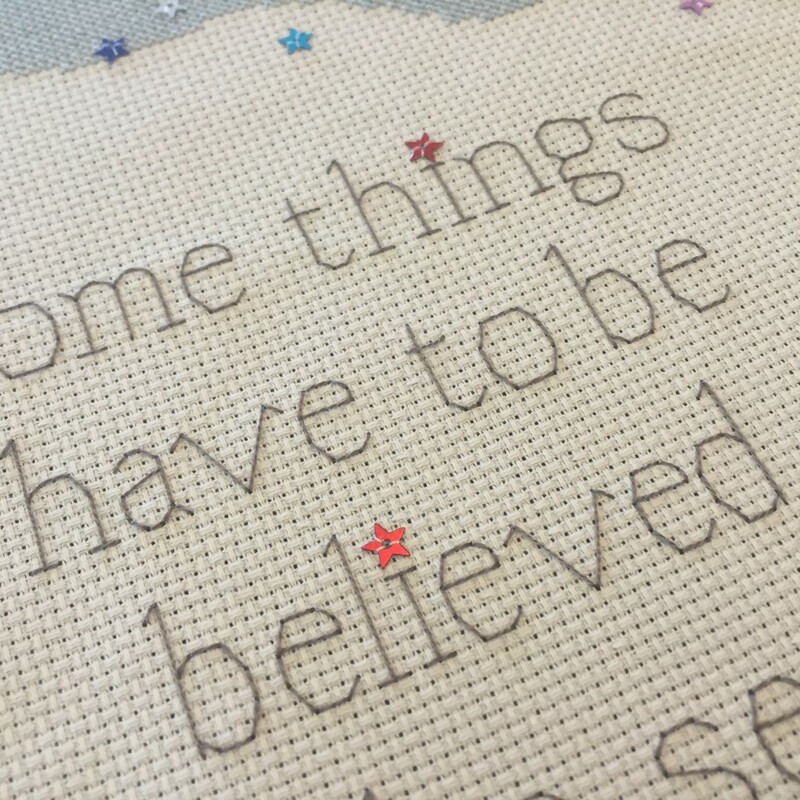 I tried stitching with a runny nose and a fever…and then had to rip out a bunch of stitches. 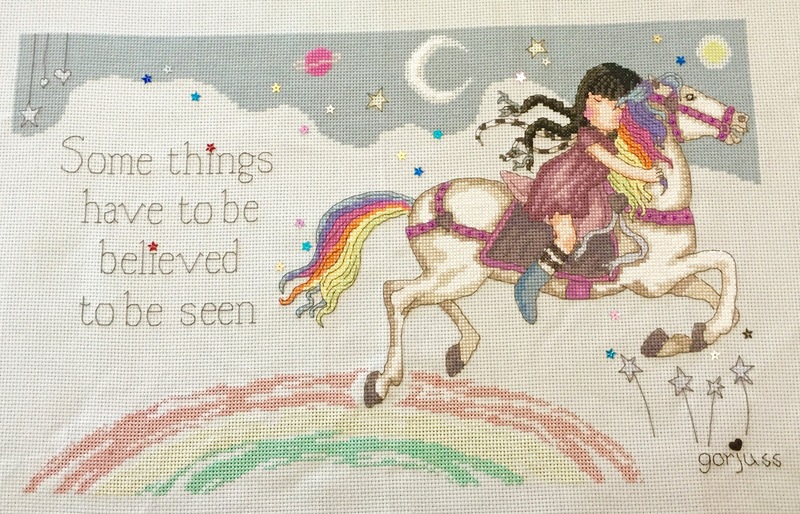 But I’m mostly better and yesterday I buckled down and finished the last bit of the rainbow. Today I attached the beads. And at last, The Runaway is done! 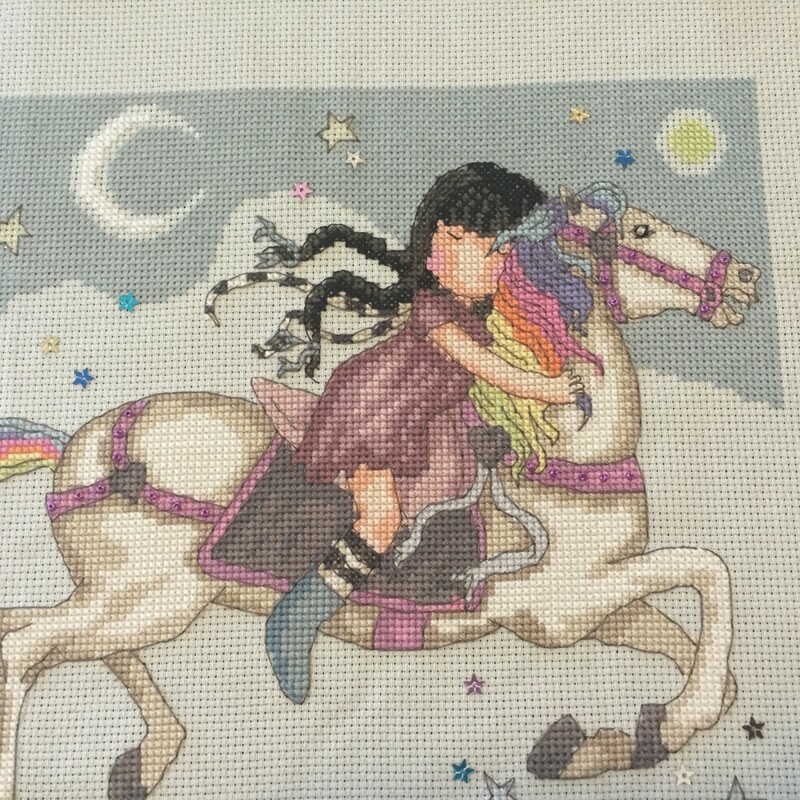 I am no closer to figuring out what I plan to do with the other carousel horses I want to stitch. 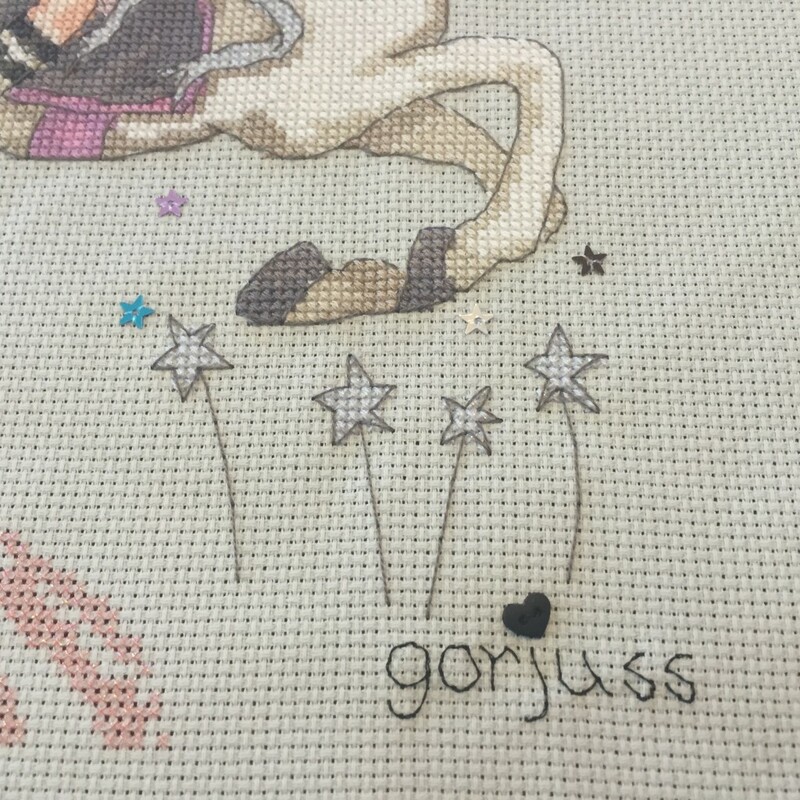 But honestly I think I may just stitch them as intended instead of trying to tie them so closely with this one. The same theme (the horses) is enough I think. The pictures may look a little washed out. The piece is stitched on light blue almost grayish cloth and it doesn’t photograph well. It just ends up looking like it should be white in the picture, but it’s dirty. It’s not! The marble horse’s eye looks a little funky but I’m sure I’ll get used to it. Trademark black heart, plus a few star sequins to embellish. 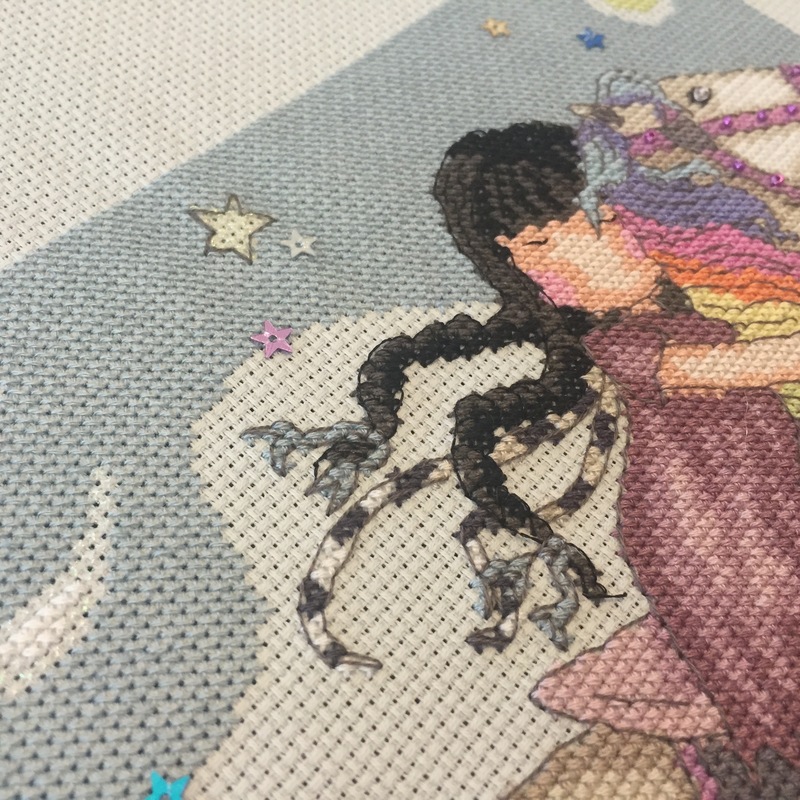 Still love the sleepy little girl with her braids flying. I did dot the “i”s with red stars. The only place I used red ones so they’d stand out more.